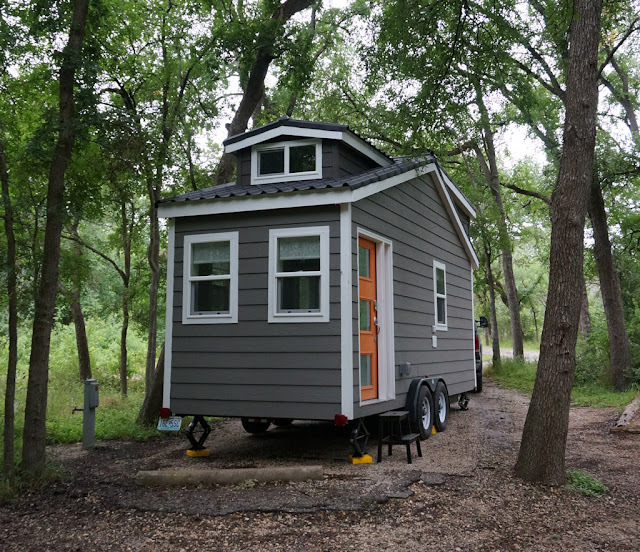 The Wanderlust is a 170-square-foot tiny house on wheels, currently traveling throughout the United States. 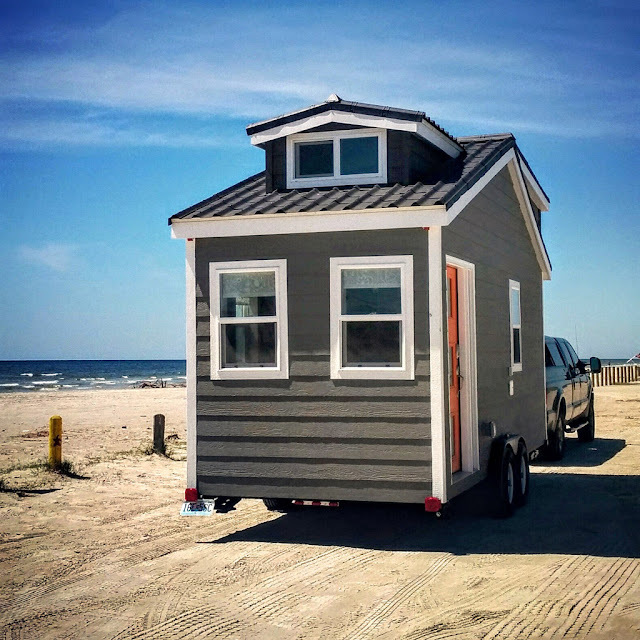 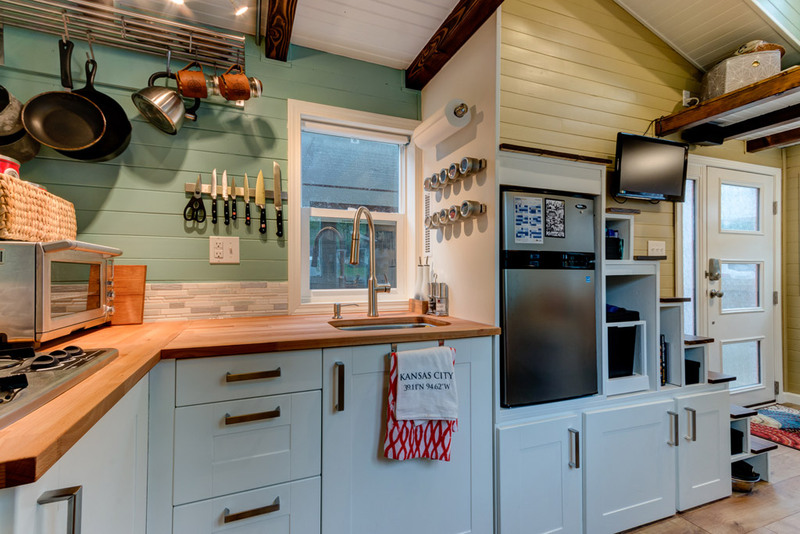 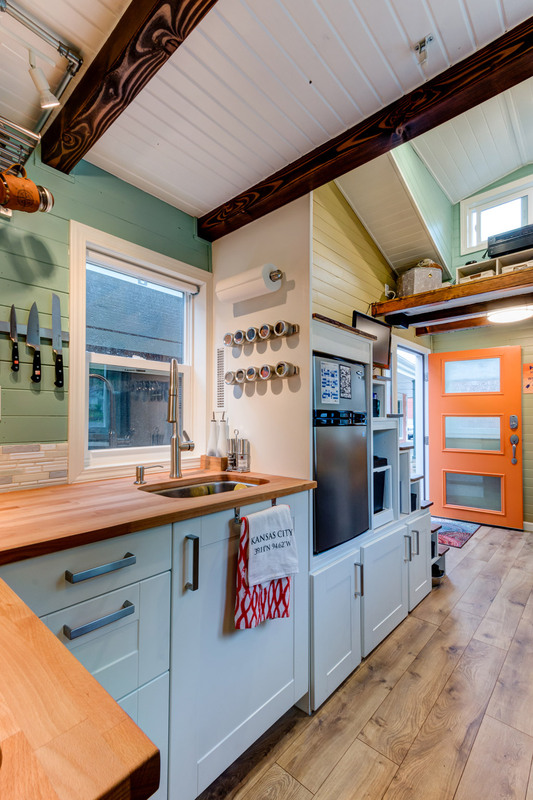 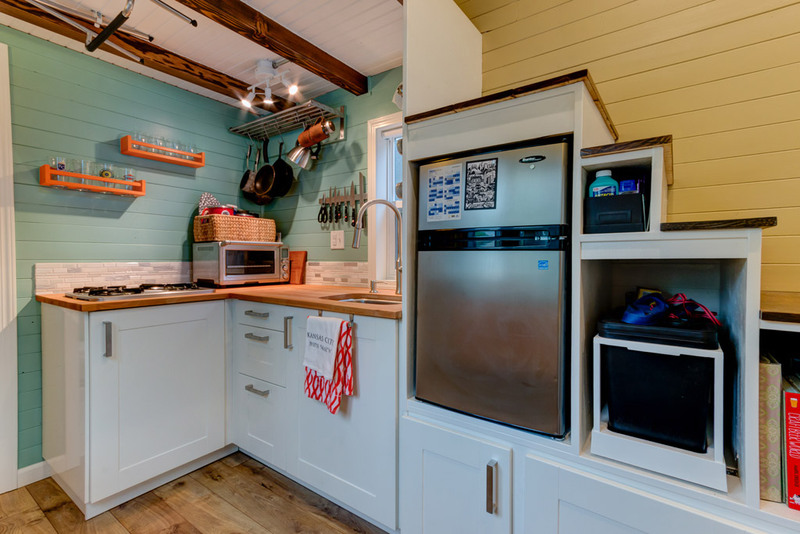 Its owners purchased the 20' x 8.5' home from Tumbleweed Tiny House Company as a barn raiser home. 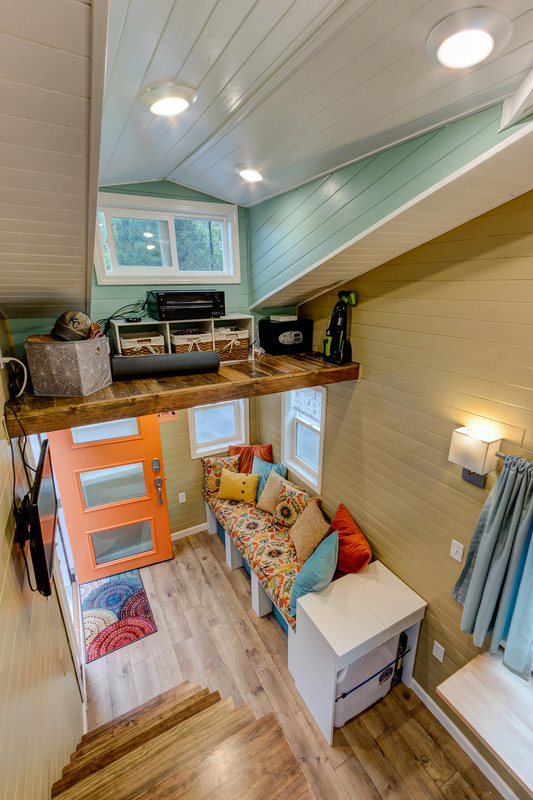 The home's well-laid out and gives a much bigger feel than 170 sq ft. 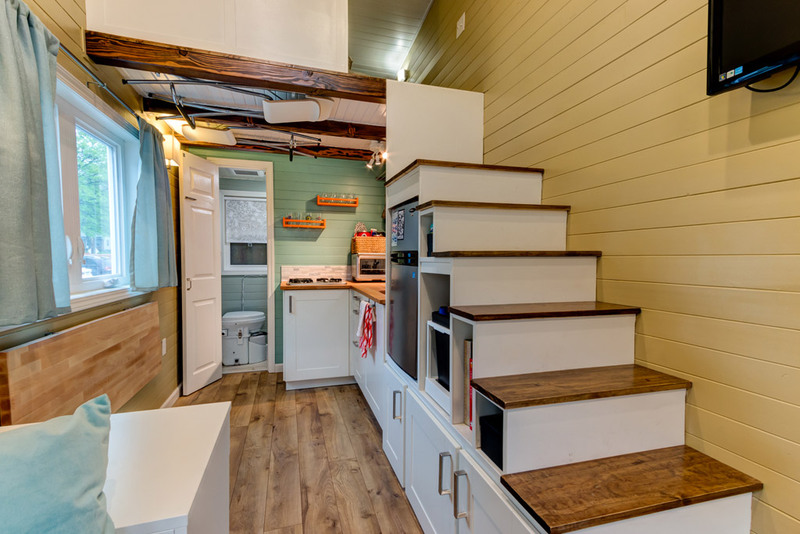 There's two lofts (one for sleeping, another for storage), a full kitchen, a bathroom, and a cozy living room. 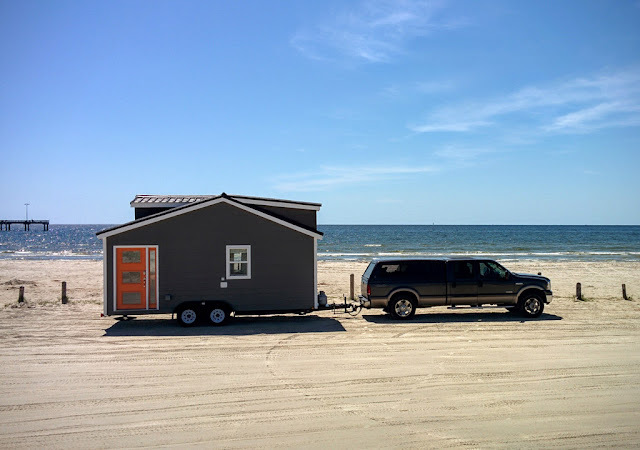 You can follow their adventures across the country in their home via their blog.